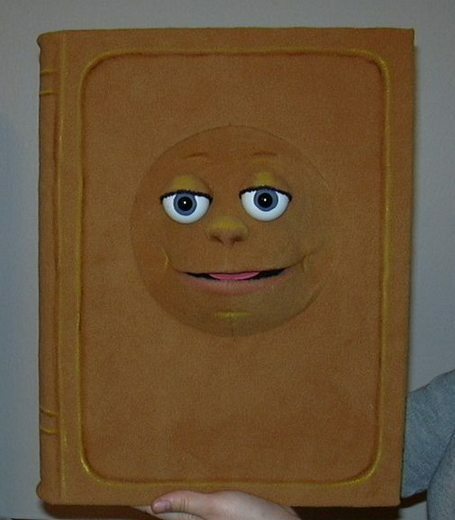 Book puppet, Puppet for sale. Size is 4" (10cm) deep,࠱4"(36cm) tall and 12,5" (32cm) wide. Weight is about 1 pound (0,5 kg). This puppet is made out of plastic and foam, and covered with fabric.